JK is a magazine for girls of all ages that is inspiring and equipping, replenishing and challenging. The magazine is issued six times a year, and each issue comes brimful with quality content. We offer riveting portrait interviews, interesting articles and edifying teaching based on the Bible. In addition, we offer travelogues, food recipes, arts and crafts ideas and useful everyday tips. In amongst everything you will find thought-provoking quotes and short verses and poems. And there is always a section especially dedicated to teenage girls. 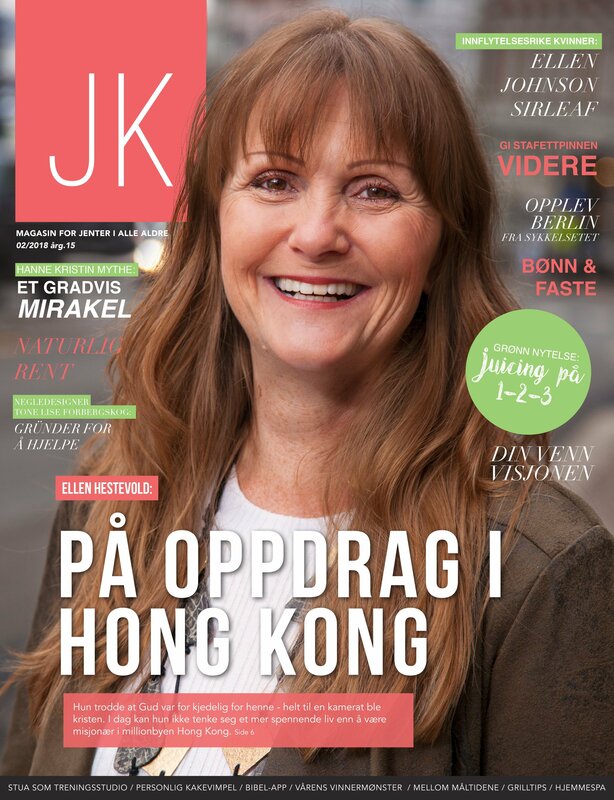 JK is currently only available in Norwegian, but we have translated some of the texts in order to give you a taster of what the magazine has to offer. We hope you will find it inspirational! 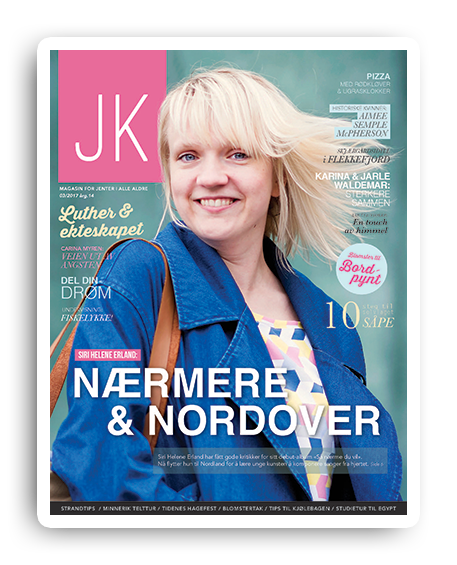 You may have Norwegian-speaking friends or acquaintances to whom you would like to give a JK Magazine gift subscription. You can place your order by clicking “Become a subscriber” below or by contacting us at info@jesuskvinner.no.